Here in this post I will try to give you every possible information to hide the IP address.If you seriously want to hide your IP address then this post is for you! 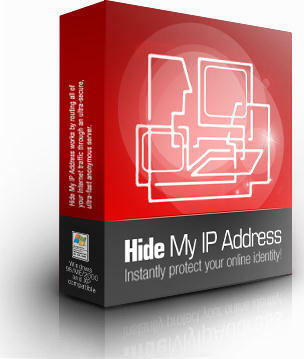 One of the most frequently asked questions by the internet users is How To Hide IP Address ?. Many times it becomes necessary to hide the real IP address for the sake of privacy.For this, I have tried many softwares, proxy servers and many such tools that guaranteed to hide my IP address.But still none of them worked for me. I think most of you have the same experience.Are you fed up with these dummy softwares that fails to hide the real IP address?Then is there any working way to hide the IP address? YES, you can definitely hide your IP . Now I�ll come to the heart of the post, which contains the answer to your curious question How to Hide the IP address ? The only solution to hide your IP address is by using a Proxy Server.But Wait! The story doesn�t end here.Even though proxy servers are the only way to hide your IP address, there are several ways of connecting your PC to the proxy server.Before setting up the connection with the proxy servers you must know some information about different types of proxy servers and their uses. This type of proxy server identifies itself as a proxy server and also makes the original IP address available through the http headers. These are generally used to speedup the web browsing since thay have a very good ability to cache websites.But they do not conceal the IP of it�s users. It is widely known as transparent proxy because it will expose your real IP address to the web.This type of proxy server does not hide your IP address. This type of proxy server does not identify itself as a proxy server and does not make available the original IP address. This type of proxy server will hide your IP address.So this is the best way to mask your IP. Which Proxy Server is the best to Hide My IP ? But most of them don�t work.Here are some of the problems/risks associated with using free proxies that are available on the internet. Most of them do not work since the proxy servers frequently changes it�s IP/Port number. Even if you find a working proxy server it may be too slow. Your privacy is not guaranteed since all your traffic is routed through the proxy server. The administrators of the proxy servers may steal your valuable information such as passwords,SSN (Social security number),Credit Card details etc. So with all these being the risks then how to find a Working,fast,Highly Anonymous and secured Proxy servers? Let�s you choose the country,Type and speed of the proxy.Not so popular but personally I recommend this to the users. You can get more informations about these products on their respective homepages. How to ensure that the IP is hidden ? Before you hide your IP you can check your real IP by visiting the following site. Once you get your real IP, switch on your IP hiding software.Now once again visit the above site and check your IP address.If you see a new IP then this means that your software is doing the right job.Also the above site(Whatismyipaddress.com) is capable of detecting many proxies.If you see the words such as �Suspected proxy server or network sharing device� or similar words then it means that the proxy you are using is not an Elite Proxy. One Final Word before you leave! Even though Elite proxies are almost undetectable this doesn�t mean that you can escape from online crimes by hiding your IP.There are many proxy detecting services available which detect almost any proxy.So if you involve in any cyber crimes then you will definitely be behind the bars.Using proxy will not help you in this case. One More thing, It is unsafe to use proxy during e-commerce transactions such as Online banking,Online Credit Card payment etc.So please avoid proxies during these circumstances.